ORILLIA, Ontario — SKLD Motorsports is proud to announce that Orillia Auto Centre will be sponsoring both of the team’s bone stock entries this season. For the past 16 years, Orillia Auto Centre has built a reputation of being the town’s one-stop shop for used car sales, automotive repairs, emission tests, tires, wheels, rims and auto accessories. With experienced technicians dedicated to providing the utmost customer service, you can be assured that you will leave their shop at 42 James Street East in Orillia with a smile on your face. You can learn more about their services at https://www.orilliaautocentre.com/. As previously announced, SKLD Motorsports will be fielding a pair of bone stocks full-time at Sunset Speedway in 2019 with Karlie Wilman and Andrew Shilling both tackling their rookie seasons. For Wilman, it’s a natural transition to seeing her behind the wheel after growing up at the track. Shilling’s interest, though, has started at a much later stage in his life, after attending several events last season with Wilman. 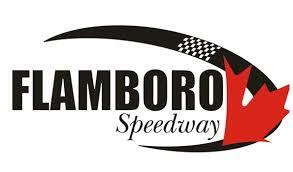 Additional marketing partners will be announced as we get closer to race season.